Famed Australian coral researcher and taxonomist J.E.N. (“Charlie”) Veron, perhaps best known for his expansive Corals of the World anthology, has been a driving force in our current understanding of stony coral evolution and biogeography for decades. 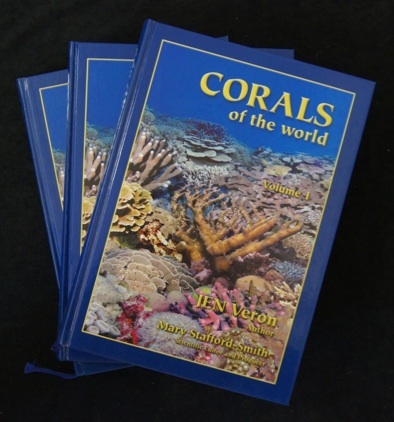 Since the publication of the three book set in 2000, however, there have been significant changes in coral taxonomy as well as years’ worth of new data on distribution and abundance of the world’s reef building corals. Veron and colleagues have worked to bring the original publication up to date in a format which can be continuously updated and added to as new research becomes available–a comprehensive online database. 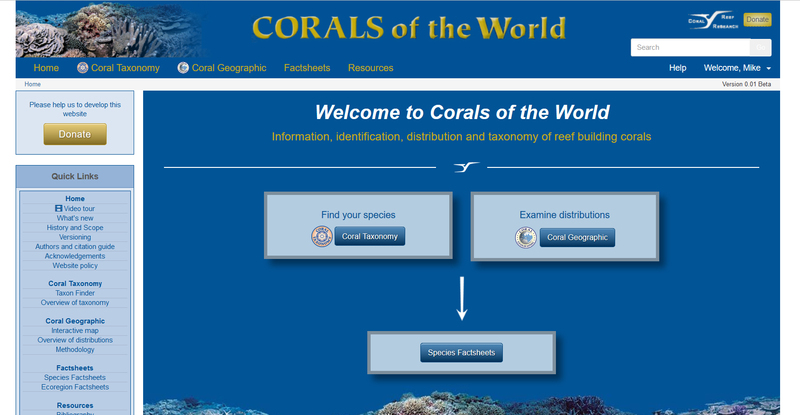 Their recently launched Corals of the World website (the site is still in beta testing) does this and more, with interactive, searchable guides to both coral taxonomy and geographic distribution. This massive, career-spanning initiative was undertaken with financial assistance from a number of foundations, including a $50,000 grant from the Pet Industry Joint Advisory Council (PIJAC) Aquatic Defense Fund, a trade group composed of well-known names in the hobby like Quality Marine, Segrest Farms, ORA, and many others. While the site is scientific in nature and does not specifically cater to the hobby, the depth of resources which it offers should be of interest to many serious reefkeepers. The detailed species factsheets, available for over 800 stony coral species, include identification photos, preferred habitat, and distribution information–all of which can be useful for aquarists. The Coral Geographic portion of the site contains an interactive map feature and allows users to explore over 85 different ecoregions spanning the entire globe. The level of detailed, scientific information available through this feature is impressive, and reef aquarium hobbyists with an interest in the wild habitat of their aquarium subjects should find this an invaluable resource. Although the site is already remarkably comprehensive–this author has already spent more than a few hours perusing the available information and has barely scratched the surface–there are already plans in place to significantly expand its scope. 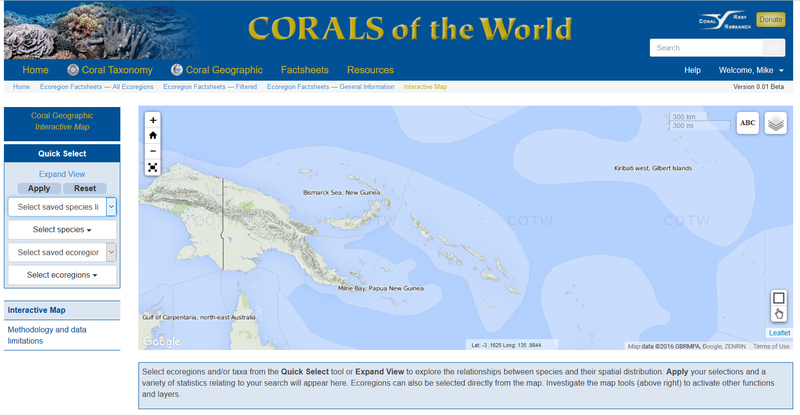 In particular, the interactive coral identification feature in the works looks particularly promising, and expanded functionality of the maps will likely make this site the go-to resource for anyone looking for information on stony corals in the wild. As the site is still in development, users have the chance to offer feedback and ideas which may be incorporated into future versions of the site.